Lectures on main animal groups, their life cycles, development, body plan, functional organisation including metabolism and their adaptation to different environments. If this time does not suit your schedule, please email for an appointment and we’ll set something up. Occasionally, I will be required to contact you by email with some info about the course. Please note that it is your responsibility to check your uottawa email regularly and to respond within a reasonable delay. You may consult these regulations surrounding email contact at uOttawa here. The practice version of the final exam is now available online here. Good luck with you your studies! Note policy for missed midterms: If you miss a midterm due to a medical emergency (only with valid medical certificate), there will be no make-up test. Instead there will be questions from that midterm’s material incorporated into your final exam so that all students in the class will be tested on all the course material equally. If you miss a midterm, it is your responsibility to let me know of your absence within three (3) days of the test and to provide me with your medical note. Failure to follow these procedures precisely will result in a mark of zero (0) for the test. 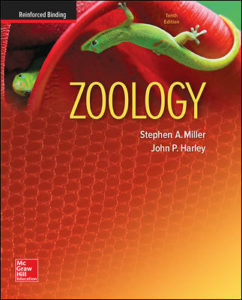 We will be using the 10th Edition of Zoology by Miller and Harley (McGraw-Hill Publications) in this course. The lectures will closely follow the sequence of chapters for individual animal taxa and will be completed with information from the last 6 chapters (Chap. 23-29) on the adaptations required to function as animals. It is required reading for this course and is available at the uOttawa bookstore, online or anywhere else you can get it. If you want to use an older edition of this book, you may do so, but it is your responsibility to ensure that you are reading the appropriate material within. I will post a .pdf file of each lecture’s notes in 2 formats (3 slides/page and 6 slides/page) in the 24hrs before each class. You should download the file and print out a copy to bring to class. The goal of providing these notes is to allow students some relief from note-taking and permitting them to listen to and to better integrate the lecture material. The slides notes are NOT complete, however, and students will be required read the textbook and to attend lectures in order to fill in the missing information. 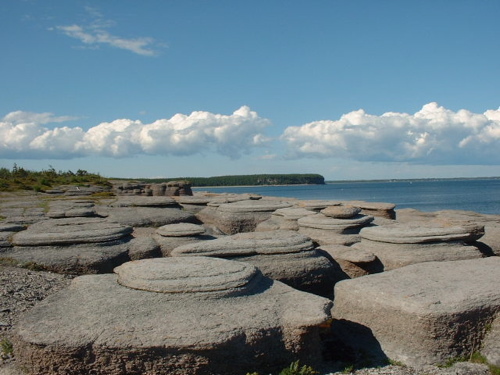 Additionally, I will post Key Words of interest arising from the readings and the lectures. These are provided for you to allow you to familiarize yourself with the appropriate terminology of the field of Animal Behaviour and to provide you with a study guide for words that you should know how to define, explain and use in your lexicon while discussing these topics. These Key Words are the terms used when discussing Zoology so you will want to start using them, as they will be a necessary part of a complete exam answer, for example. You may also use the lists of Key Words as items from which you may build concept maps that tie the various notions in the field together. “Labs in Bio2135 begin in the week of January 14, 2019. They occur on Tuesday through Friday mornings from 08:30 to 11:20 in either BSC312 or BSC330. Please arrive early and we will let you in at 08:25. Remember to bring your lab coats and safety glasses.